Here is some funny project for your reference. The images below show an overview of Seeeduino GPRS hardware features. The pin-out and alternate functions of various pins of Seeeduino GPRS are shown in the pin-out diagram. This could be used as a quick reference. Power Switch Slide switch used to change the logic level and power output of the board to either 5V or 3.3V. Nowadays many new and great sensors are being develop to work with 3.3V, with other duino boards you would need to place a logic level converter between the board and these sensor(s), with the Seeeduino GPRS board all you have to do is slide the switch! DC Input The DC Input allows your Seeeduino GPRS board to be powered from a wall adapter so that you can supply more power to your project if needed, for example when using DC motors or other high power devices. The DC input can be 9V-12V and peak current is 2A. But there's a hardware bug in Seeeduino GPRS that you have to notice. When an external power input, there's very short 6V at the 5V pin, last about 2ms. It is risk to destroy the device that connected to 5V. So we recommend that don't use the DC Input to power the system. And we had considered to fix the bug already, but will not come out very soon. Breakout for SIM800h You can debug Sim800h by this interface. ICSP This is the ICSP connection for the ATMEGA32U4-MUR, it is located in the standard ICSP/SPI position for Arduino Uno, Due, Mega, and Leonardo compatible hardware (e.g. shields) that may use this connector. The SPI pins in this port: MISO, SCK, and MOSI, please note that those pins DIDN'T connect to D11~D13. Look under Ports (COM & LPT). You should find an open port named "Seeeduino GPRS". If there is no COM & LPT section, look under "Other Devices" for "Unknown Device". Right click on the "Seeeduino GPRS" port and choose the "Update Driver Software" option. 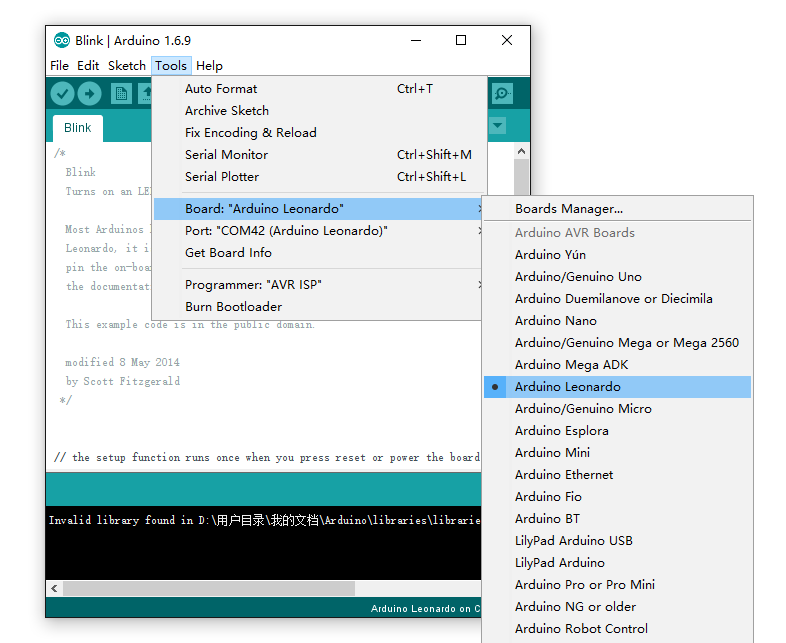 Finally, navigate to and select the driver file named "seeed_usb_serial.inf"
A few seconds after the upload finishes, you should see the pin 13 (LED Pin 13) LED on the board start to blink (in green). If it does, congratulations! 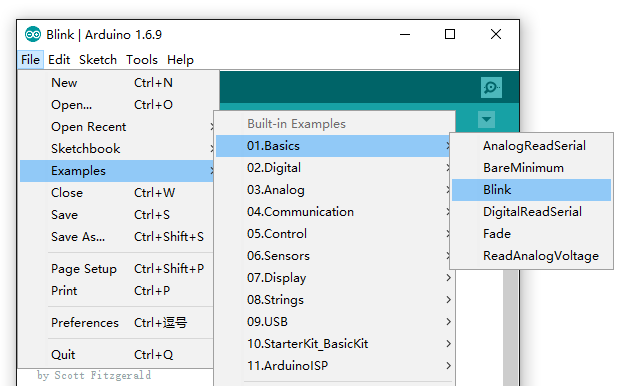 You've gotten Arduino up-and-running. If you have problems, please see the troubleshooting suggestions. Seeeduino GPRS offers the function of a mobile phone such as making/receiving voice calls, sending/receiving SMSes, make a TCP connection etc. 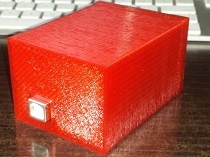 Here are the Seeeduino GPRS Library, please download it to your computer to use Seeeduino GPRS. Here is a brief introduction. To start to play with the Seeeduino GPRS, a headphone and a SIM card are required. 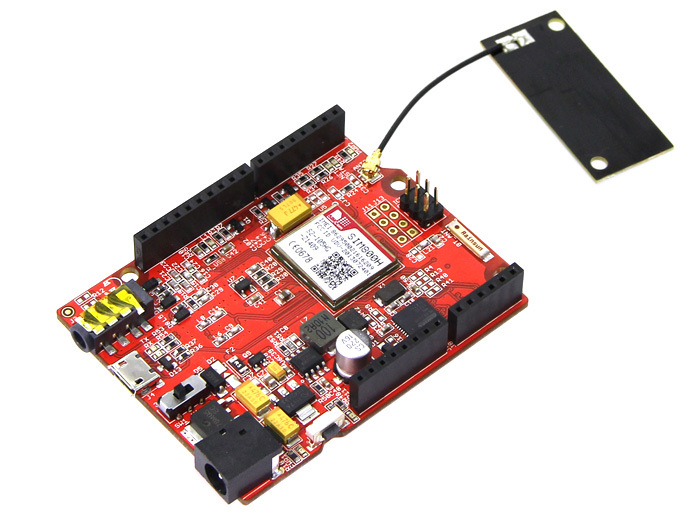 Open the example sketch GPRS_CallUp in libraries/Seeeduino_GPRS/example/GPRS_CallUp/, replace the phone number in callUp function, then compile the sketch and upload it to your board. 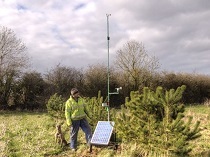 Seeeduino GPRS will call the number specified in the code. Just like calling, an SMS can be sent with Seeeduino GPRS. Open the example sketch GPRS_SendSMS in libraries/Seeeduino_GPRS/example/GPRS_SendSMS/, and replace the phone number and message in sendSMS function, then compile the sketch and upload it to your board. Seeeduino GPRS will send the message to the number specified in the code. If someone calls or send a message to you, Seeeduino GPRS can also answer the call or read the message out. Open the example sketch GPRS_LoopHandle in libraries/Seeeduino_GPRS/example/GPRS_LoopHandle/, then compile the sketch and upload it to your board, the Seeeduino GPRS will poll to check if there is an incoming call or SMS. If there is an incoming call, Seeeduino GPRS will answer the call automatically. 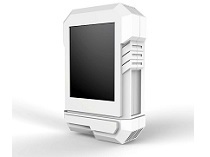 If there is an incoming SMS, Seeeduino GPRS will show the message in Serial Monitor. Seeeduino GPRS has a FM radio function. 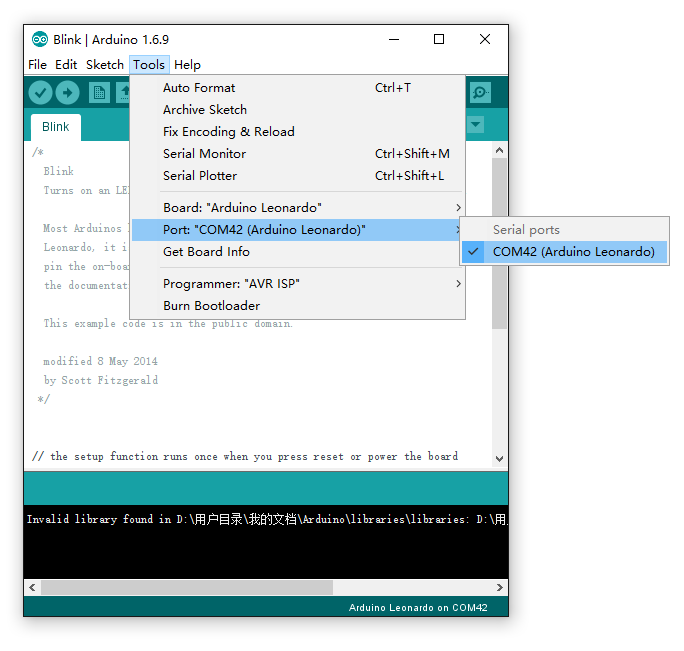 Open the example sketch FM_Test in libraries/Seeeduino_GPRS/example/FM_Test/, and connect a button to your board, then compile the sketch and upload it to your board, Seeeduino GPRS functions like an FM radio. Even the channel can be changed with the button. 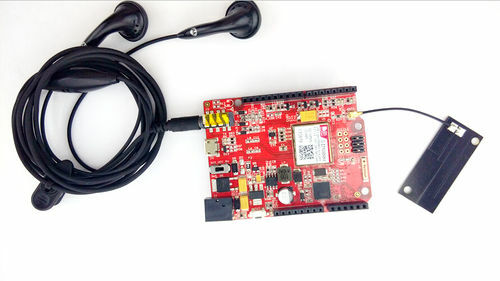 Seeeduino GPRS can be used as a bluetooth device, but it is still not very stable yet. There are two examples sketches in library. 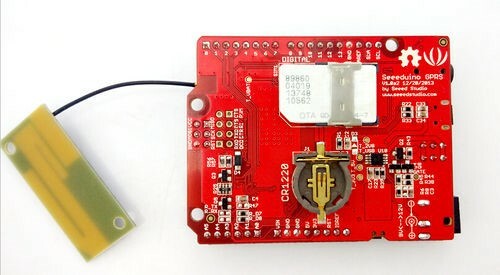 The first one is Bluetooth AT Command, you can send AT command to Seeeduino GPRS through it, and the other one is Bluetooth_Communicate, you can communicate with Seeeduino GPRS in SPP profile with it, but it may go wrong while connecting to your bluetooth device or mobile. Below is the code of Bluetooth AT Command.